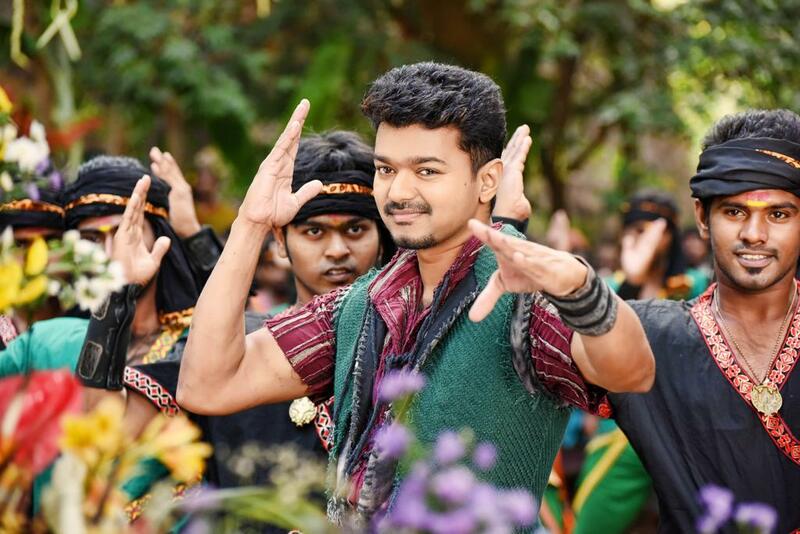 Puli is not a full-length historical film but is an imaginative – fantasy flick, say sources. Moreover, the dialogues are not in ancient Tamil as predicted and it is one of the reasons for the teaser not having any dialogues. This is to have the audiences guessing. Sources add that the dialogues would be included only in the trailer that will be released a few days ahead of its release. Puli will certainly be a very different experience for the audiences and a film that the movie buffs have never witnessed so far, reveal sources in the know. The makers of Puli are planning for a mega release worldwide. Sources say that this Vijay starrer would be released in large number of theatres in the US, UK, Singapore, Malaysia, Sri Lanka, etc. Moreover, plans are afoot to release the film in 1000 screens in Tamil Nadu, Andhra, Telangana and the northern parts of India. In Kerala and Karnataka, Puli will be released in 500 screens, add sources. We hear that these figures could go much higher.